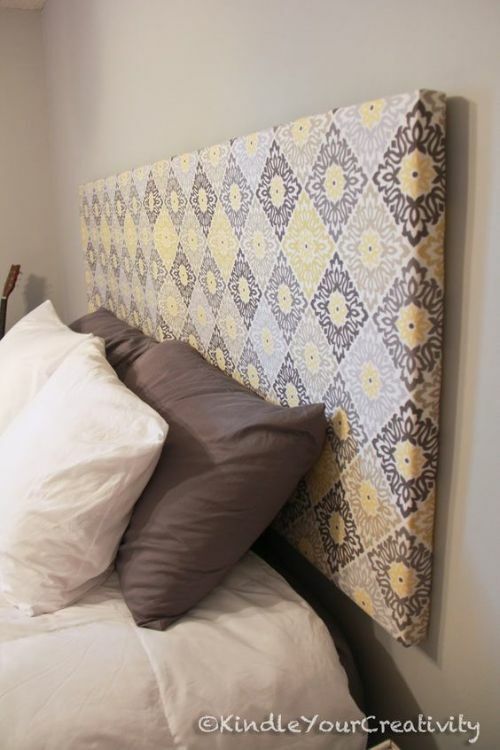 Headboards can cost a pretty penny, with chic designer options ranging in the $1000s. However, it's possible to craft your own headboard for much cheaper (and the results look just as good as the ones in the catalogue!) 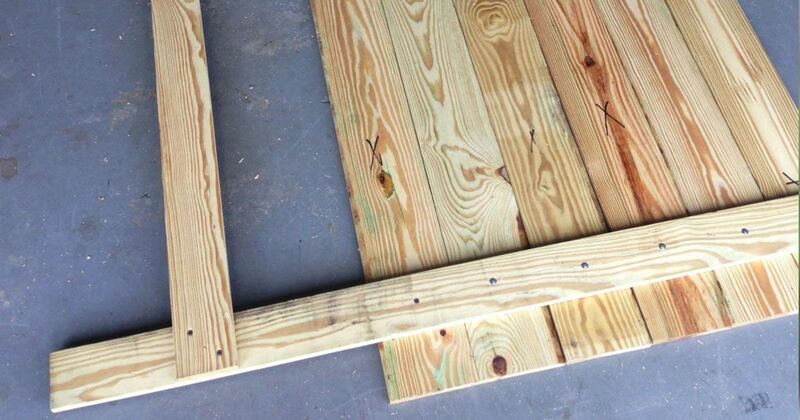 Check out these fantastic DIY projects for the details. Melissa over at Hayes Everyday is an amazing DIYer. 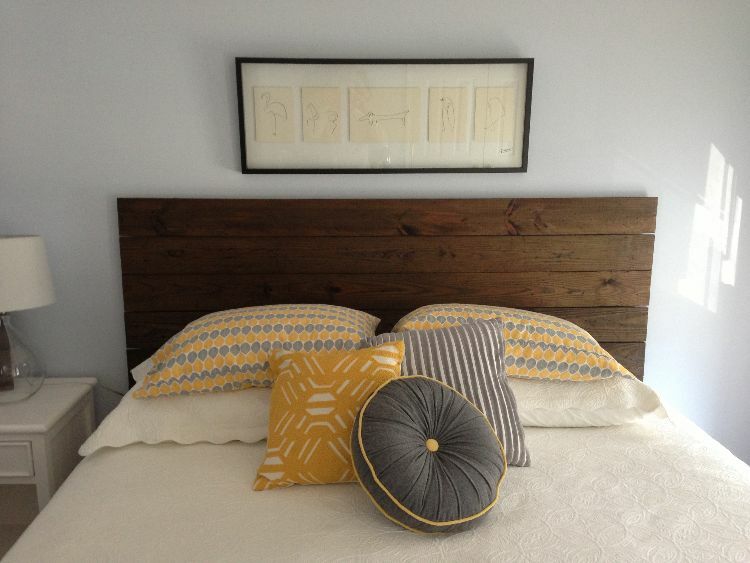 She’s got a step by step guide on how to buy the items and assemble this gorgeous DIY headboard. It’s rustic, but can easily fit within a contemporary space, especially if you opt to paint instead of stain. This stunner is so rustic and warm and fun that we simply could not pass up putting it on the list. It may look like something you’d pay a few hundred dollars for, but Erica over at Spoonful of Imagination can show you how to do it for next to nothing. 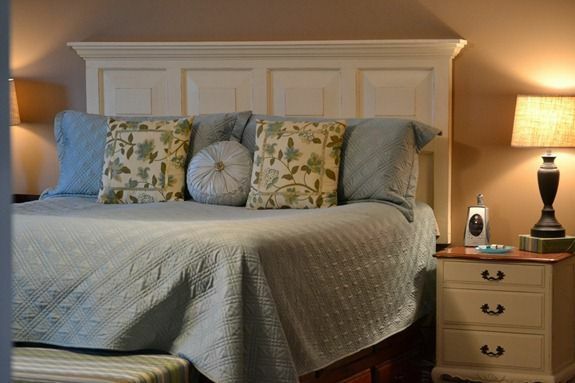 Sometimes less is more, and when it comes to this fabulous profiled raised panel headboard, all you really need is an old door and some crown molding. By flipping it on it’s side, you get the length you need. Sand it down, add molding, and paint. Done and done, according to Infarrantly Creative. 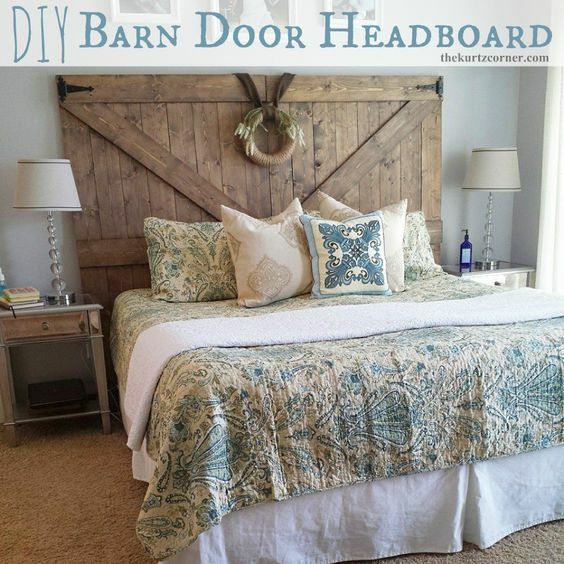 Audra with The Kurtz Corner shows how you can make this delightful barn style door headboard for your bedroom. Perfect for your rustic setting, but fits very well in a traditional space. A fabric covered headboard adds a touch of class to a bedroom that nothing else can. And when you’re doing it DIY, you can get creative and mix in your own personal tastes with prints, color, and texture. Shelli shows us to make this one over at Treasured Rubbish. A fabric covered headboard doesn’t have to mean fancy tufting, either. 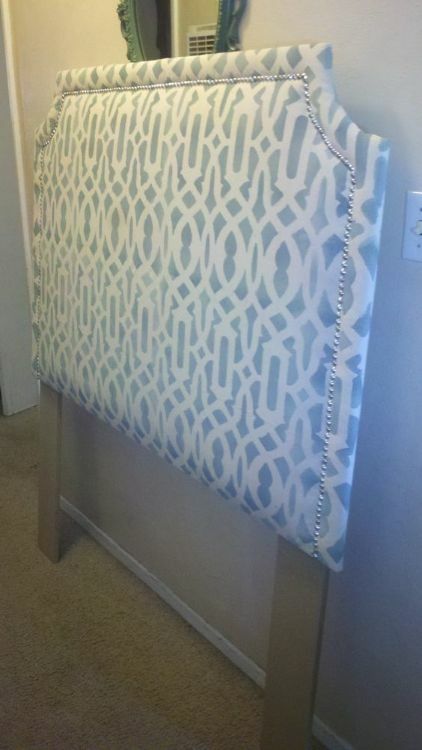 Briana over at Kindle Your Creativity shows us how you can achieve this cloth covered headboard with fabric and a few lengths of wood. 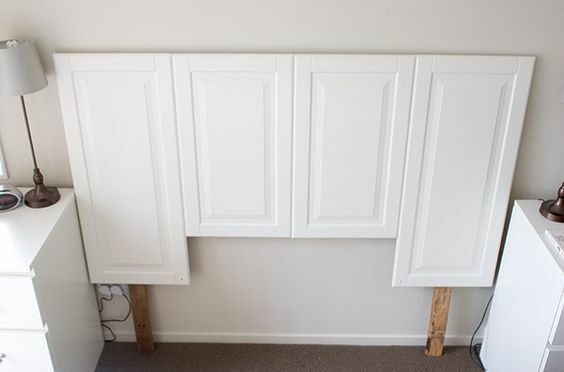 Jen over at Jenthousand Words shows you how you can literally create a stylish headboard for your bed by using old, reclaimed kitchen cabinet doors. Amazing! Who would have thought? 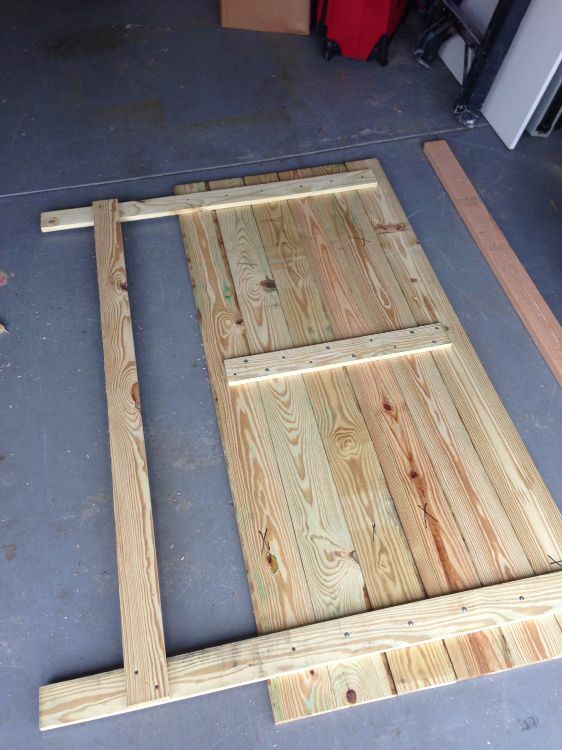 But the doors already come with a beautiful profile, so why not utilize that detail? 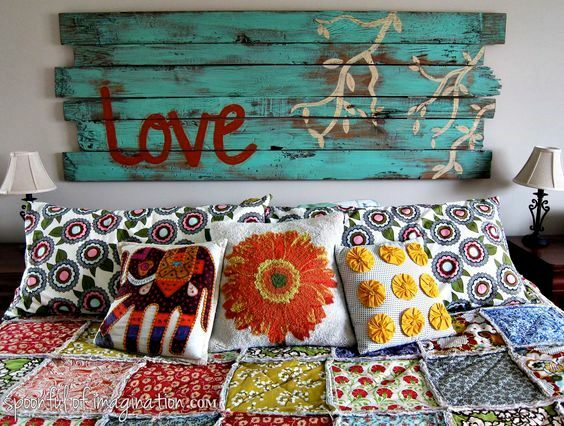 We hope this list inspired you to create your own beautiful DIY headboard. Feel free to comment and share your ideas!